Welcome to the webpage for Parroquia Nuestra Señora de Andacollo (Our Lady of Andacollo Parish). Whether you reside in Chile or in some other country, we are delighted that you made your way to our page. For more than a century, our parish has served those who live and work in the center of Santiago. When we were founded we were the first parish of the Archdiocese of Santiago intentionally inserted into a poor neighborhood. The Archbishop entrusted this effort to Our Lady, under the avocation of Our Lady of Andacollo, a devotion centered in the northern Chilean town of Andacollo. In those early years, Catholics from around Santiago were enlisted to help serve this fragile community. Among them, a high school student served as a volunteer in the parish and school for four years. He extended those years into another five years as he studied law. In this parish and school, he discovered his vocation, entered the Jesuits, and, after ordination, began tremendous work among youth and the poor. 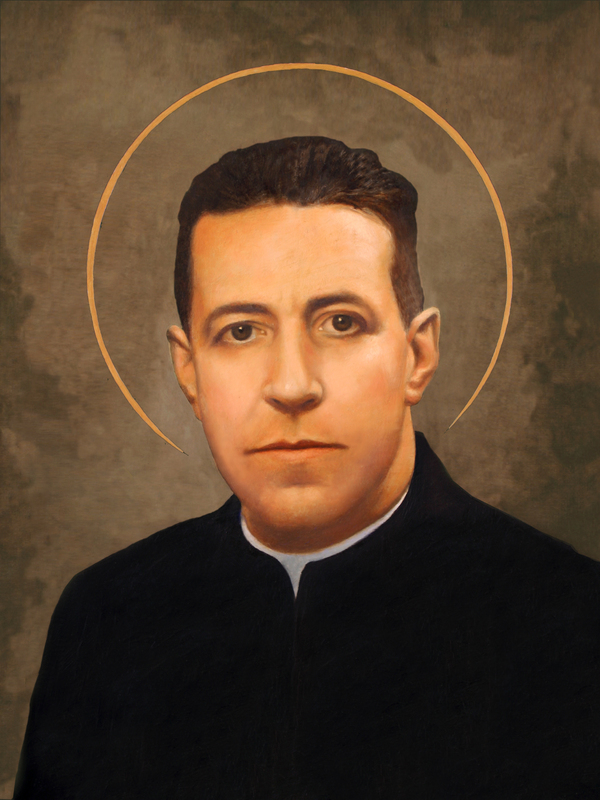 Today, he is known as Saint Alberto Hurtado, Chile’s second canonized saint. Later, Parroquia Nuestra Señora de Andacollo served as the center of Acción Católica (Catholic Action), a movement to bring Catholic Social Teaching into the public square. Monsignor Vicente Ahumada, pastor from 1951 to 1962, anticipated the liturgical reforms of the Second Vatican Council. He was moved from the parish to teach at the seminary, where he was a beloved teacher of a generation of Chilean priests. Since 1977, the Congregation of Holy Cross has assumed responsibility for the leadership of the parish and school. Today, our parish continues its tradition of service to the community, especially the most vulnerable in our neighborhood. We have a soup kitchen that serves abandoned elderly and the poor of the community. We have a thrift store. We have an active Alcoholics Anonymous group. We have a growing Immigrant Ministry, as our neighborhood is the port of entry for low income immigrants. We also collaborate with FundaMor, Holy Cross’ ministry to vulnerable children and youth. FundaMor has a long history of homes for children, either through the death of parents or through court order (when a parent might be incarcerated). From its Centro Andacollo, FundaMor aims to prevent more mild problems from growing into more severe cases that may require separation of children from the family home. FundaMor at its Centro Andacollo serves children and their families with a social worker, school psychologist, and psychologist, available to accompany families without cost.